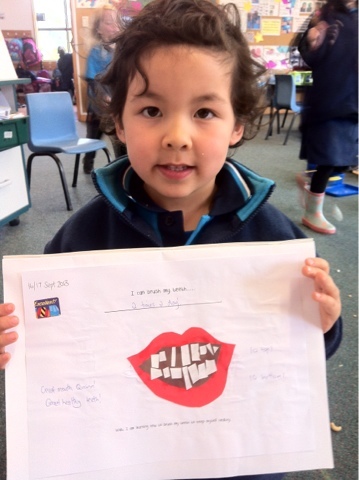 Today in class we learnt about brushing our teeth morning and night. We also learnt we have 10 top teeth and 10 bottom teeth. We will be learning about keeping ourselves healthy over the next two weeks in class.